Warped in by modder Ron Lee Christianson, this AIR 740 is clad in custom-made panels that emulate the style of the Golden Armada itself. The HD120 RGB fans complement the custom pylon blue LEDs on the exterior panels, giving it the authentic glow of Protoss shields. 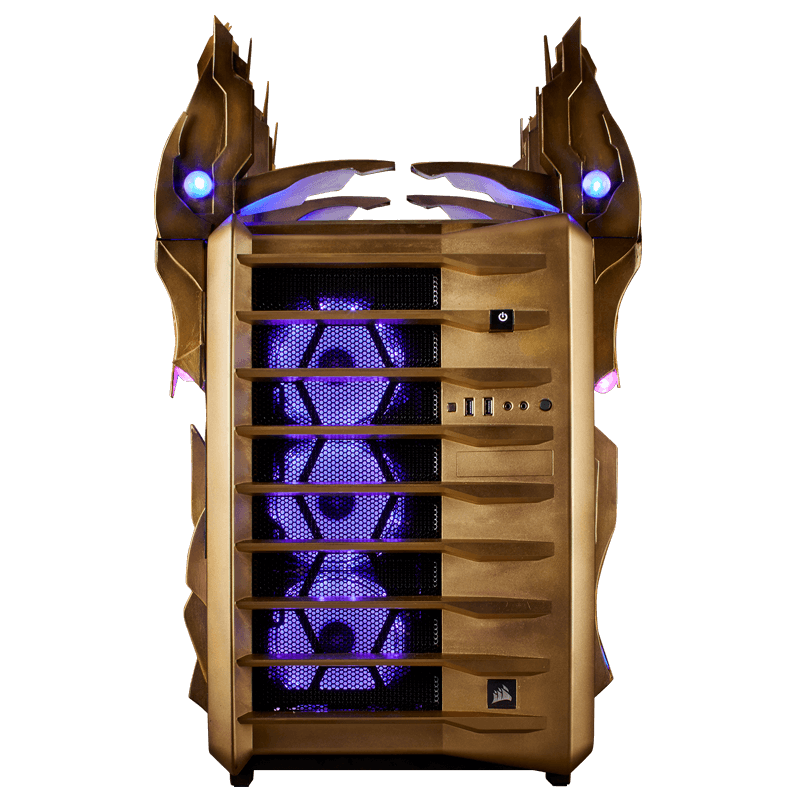 Just underneath the psionic matrix-styled side panels are a mix of quiet, but powerful hardware that we know can withstand the most fearsome of Zerg rushes.